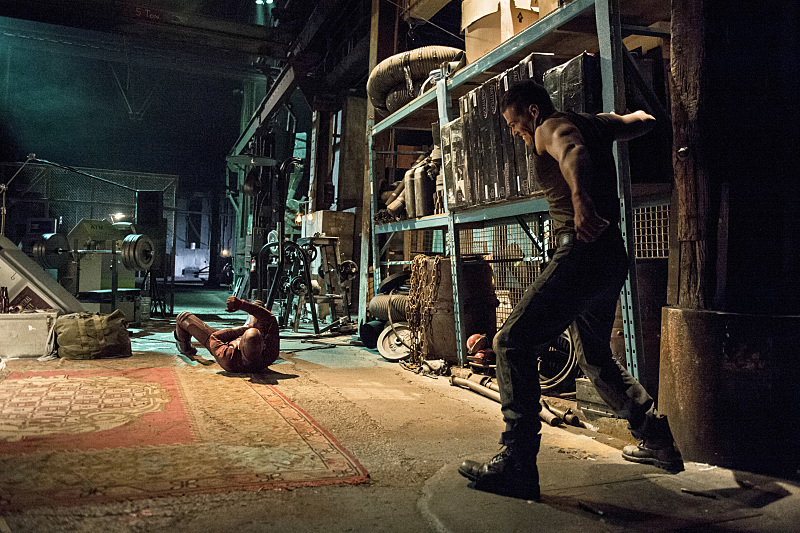 The Flash -- "The Flash is Born" -- Image FLA106a_0108b -- Pictured (L-R): Grant Gustin as The Flash and Greg Finley as Tony Woodward -- Photo: Cate Cameron/The CW -- ÃÂ© 2014 The CW Network, LLC. All rights reserved. GREG FINLEY GUEST STARS AS DC COMICS’ VILLAIN GIRDER — The Flash (Grant Gustin) faces a new meta-human named Tony (guest star Greg Finley, “Star-Crossed,” “Secret Life of the American Teenager”), who can turn himself into girded steel at will. 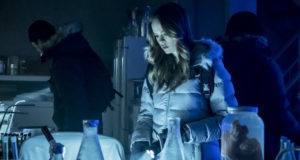 While Dr. Wells (Tom Cavanagh) and Caitlin (Danielle Panabaker) are concerned about Barry’s safety, Cisco (Carlos Valdes) comes up with a plan to take Tony down. 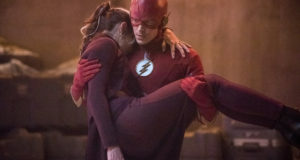 Meanwhile, Iris’s (Candice Patton) blog on The Flash gets her into trouble, and Eddie (Rick Cosnett) witnesses Tony’s abilities firsthand and begins to ask questions that Joe (Jesse L. Martin) doesn’t want answered. Joe asks Dr. Wells to help him solve Nora Allen’s murder. Millicent Shelton directed the episode written by Jaime Paglia & Chris Rafferty (#106). 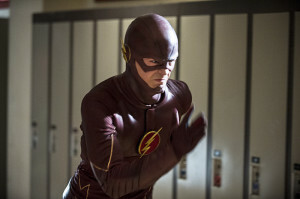 I hope that title means they actually start referring to him as “the Flash” on the show. The whole “streak”/ “blur” / “don’t call the superhero by his actual name” thing feels a little cliched after Smallville and Arrow.